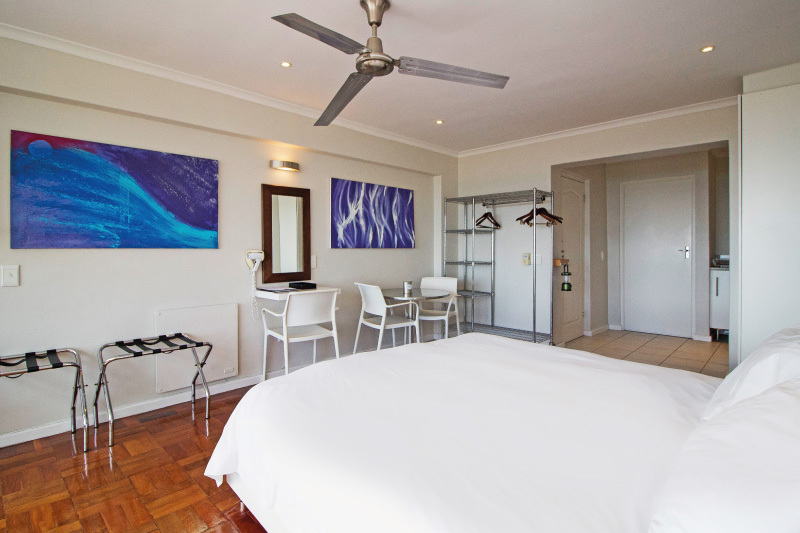 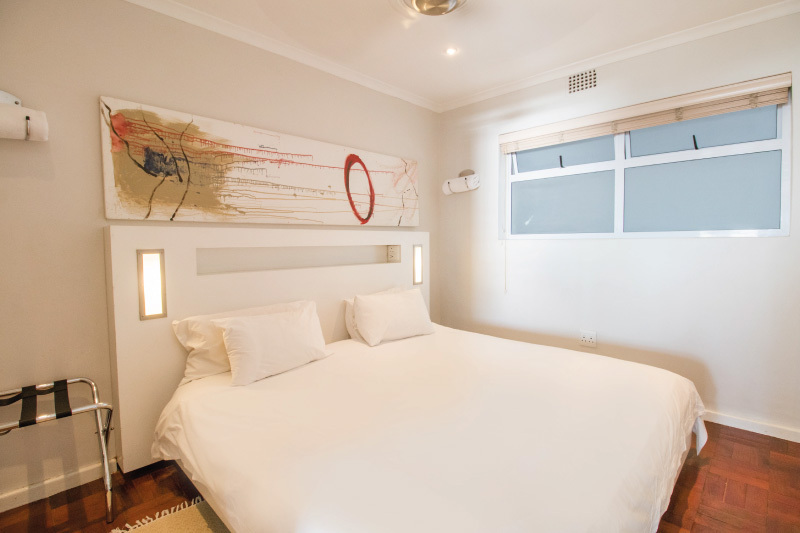 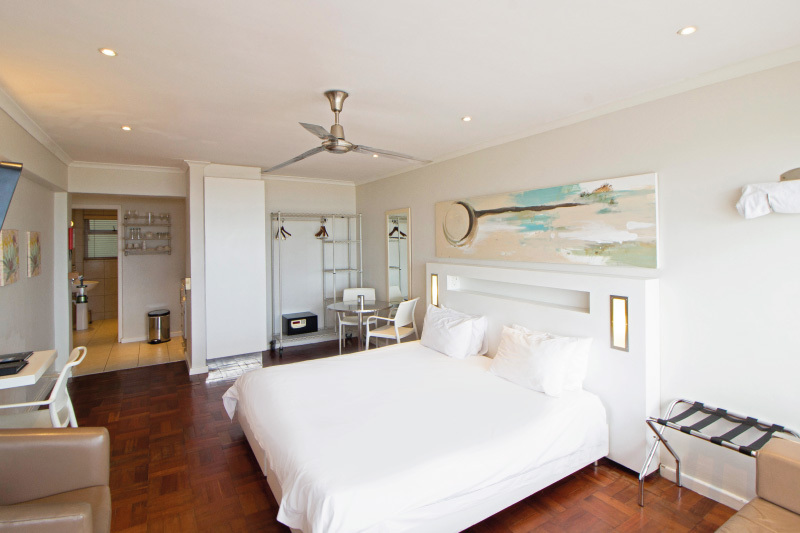 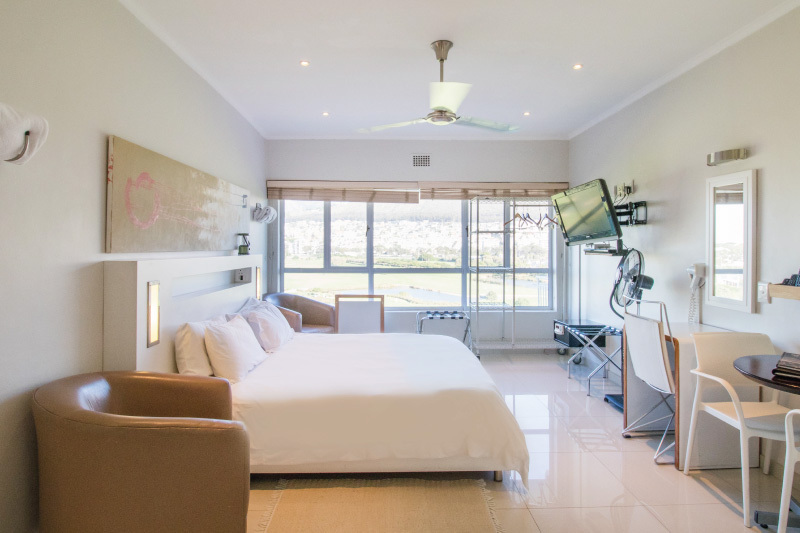 Mouille Point Village boasts immaculately prepared self-catering apartments in an apartment complex, decorated in a clean and modern style. 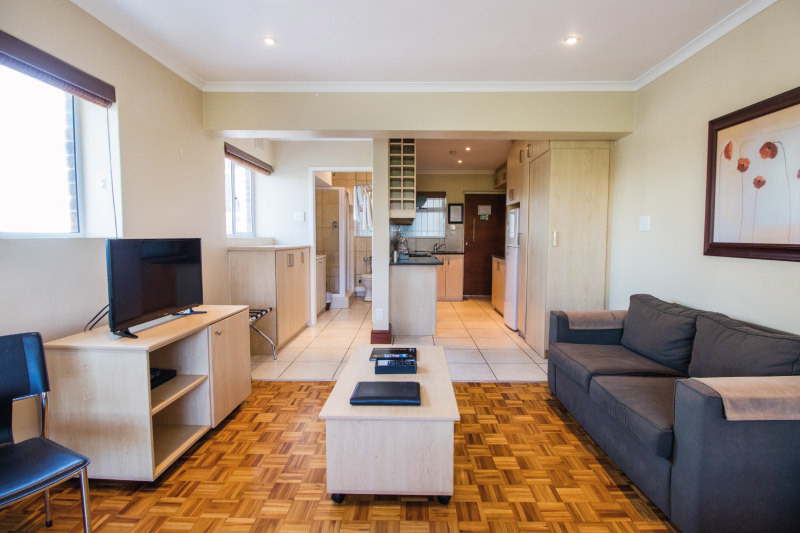 All apartments include Complimentary Wi-Fi, Selected Satellite Television, DVD player, International plug points (22v) A/C, Electronic Safe, Built-in hair dryer, Luggage racks as well as Iron & ironing boards. 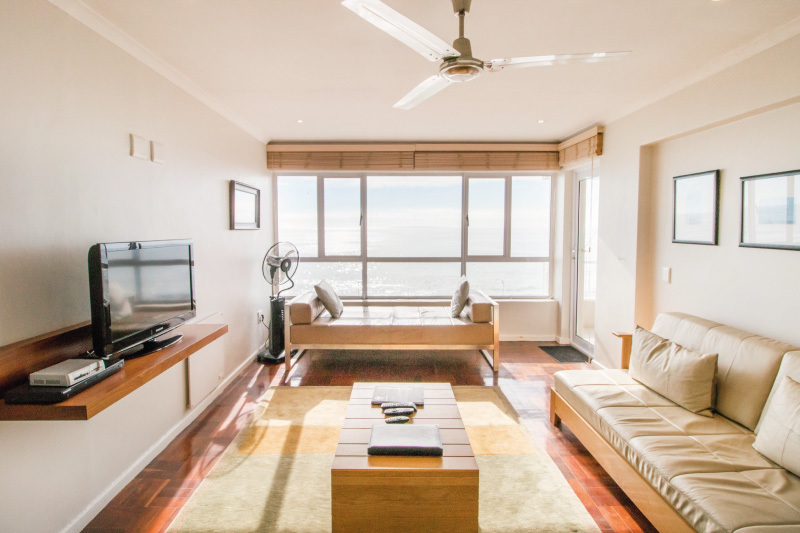 For climate control apartments include heaters and mist or ceiling fans. 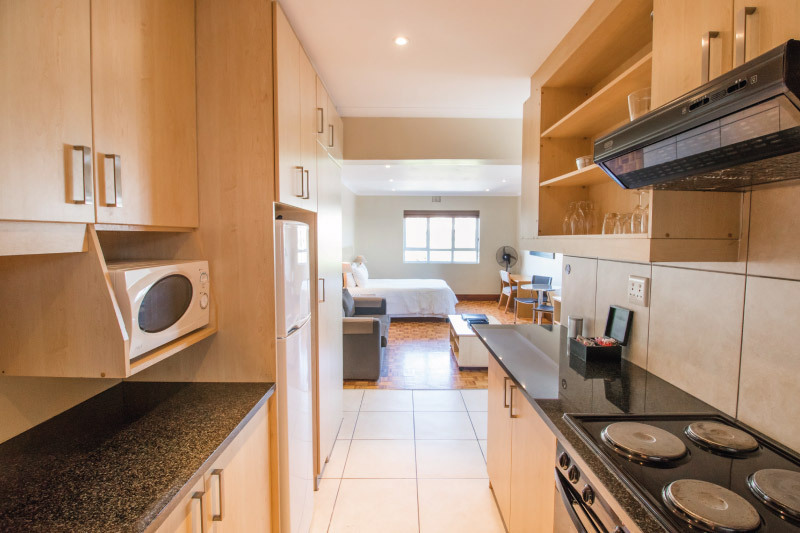 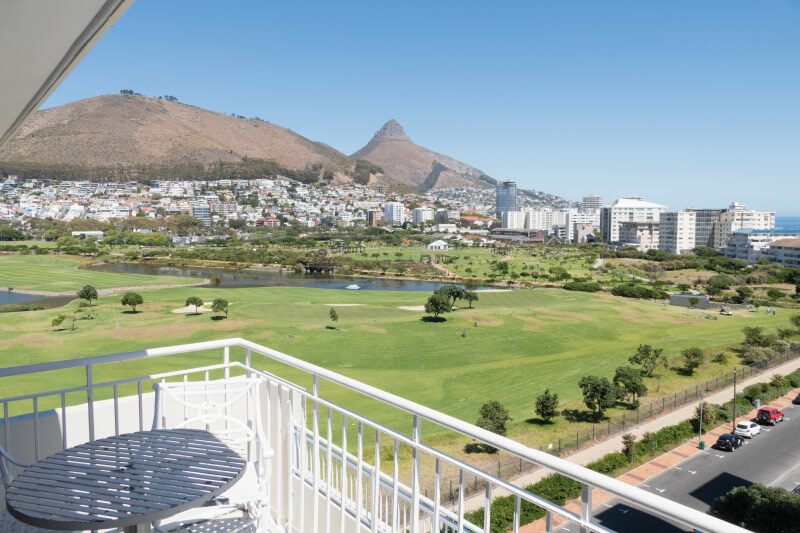 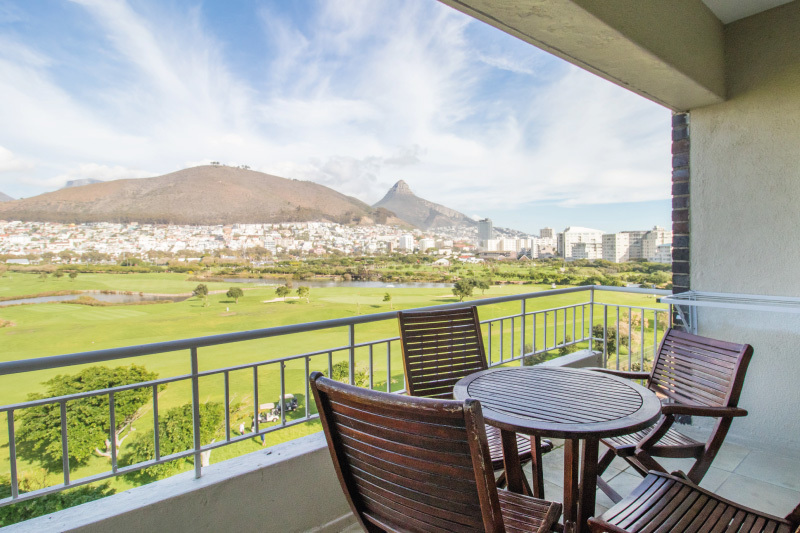 Our 40m2 standard studio apartments are Mountain facing with views of the Cape Town Stadium and golf course or Lions Head. 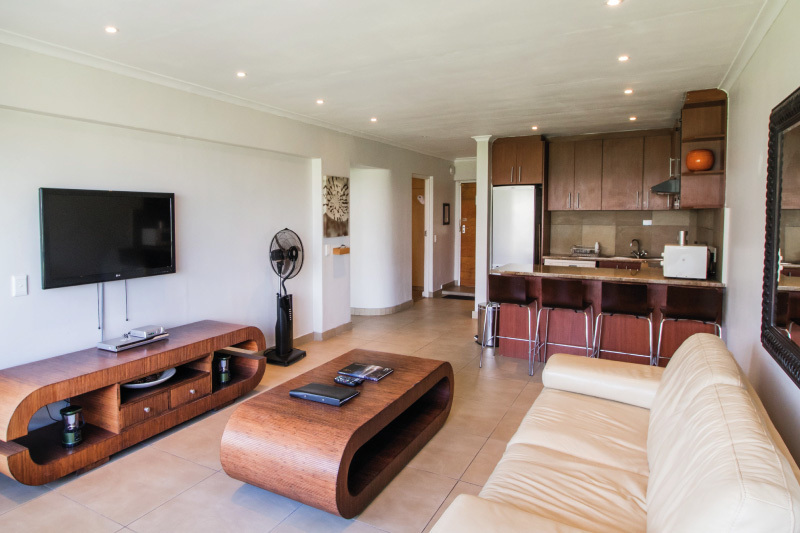 Each apartment is individually furnished to complement the space and offers an open plan living area. 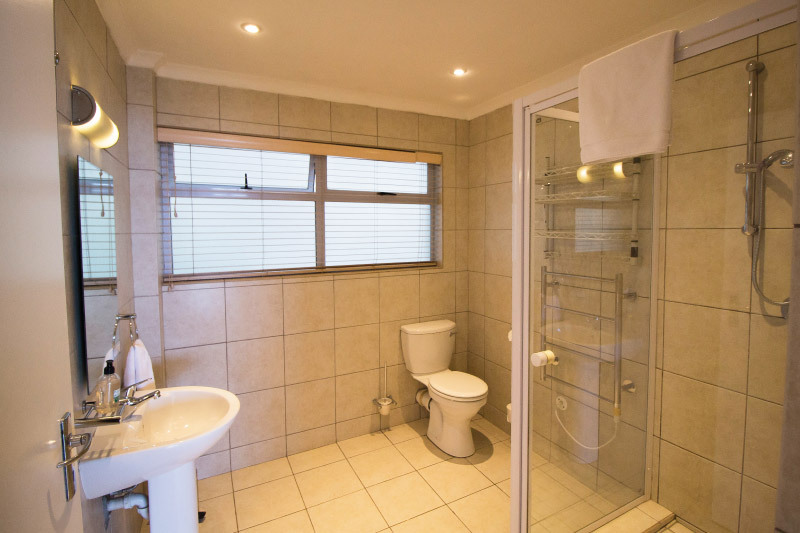 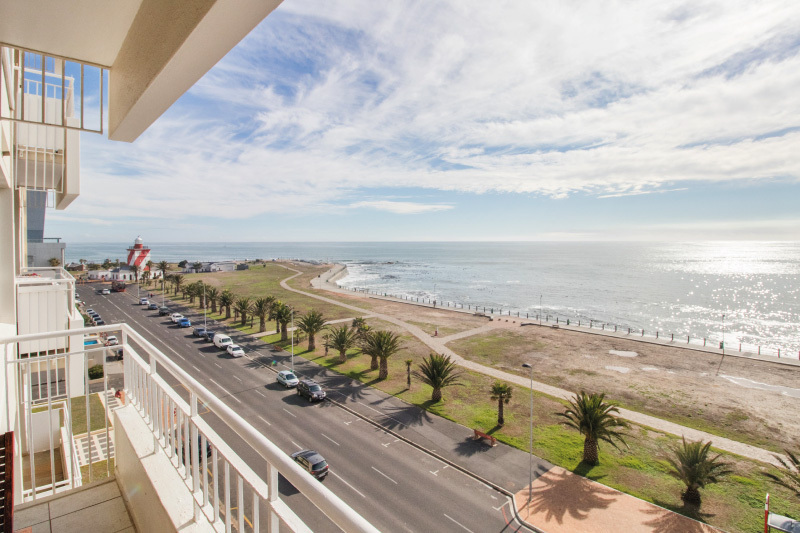 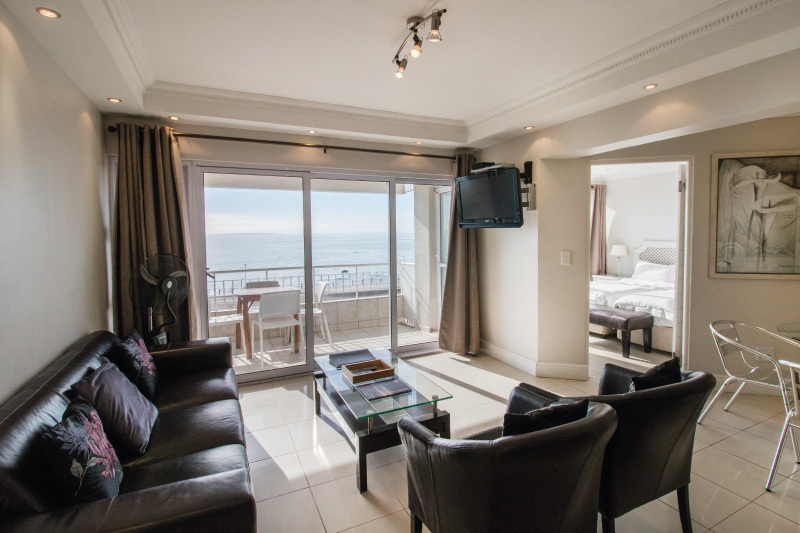 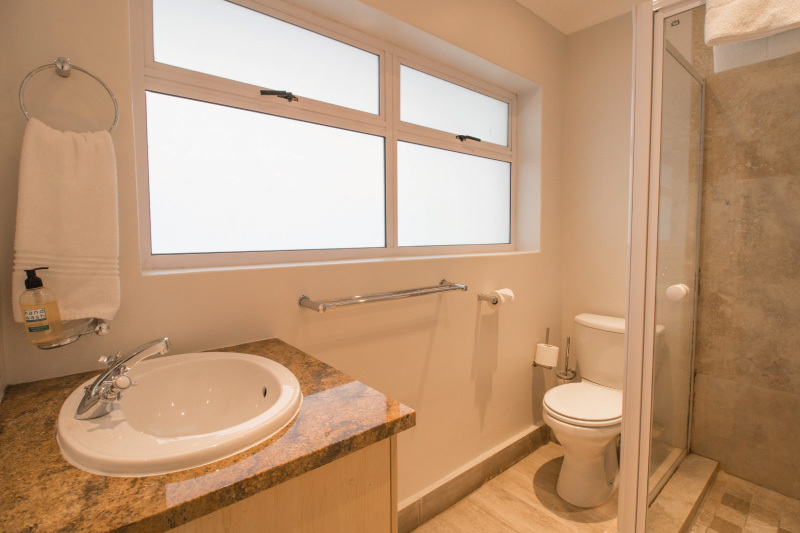 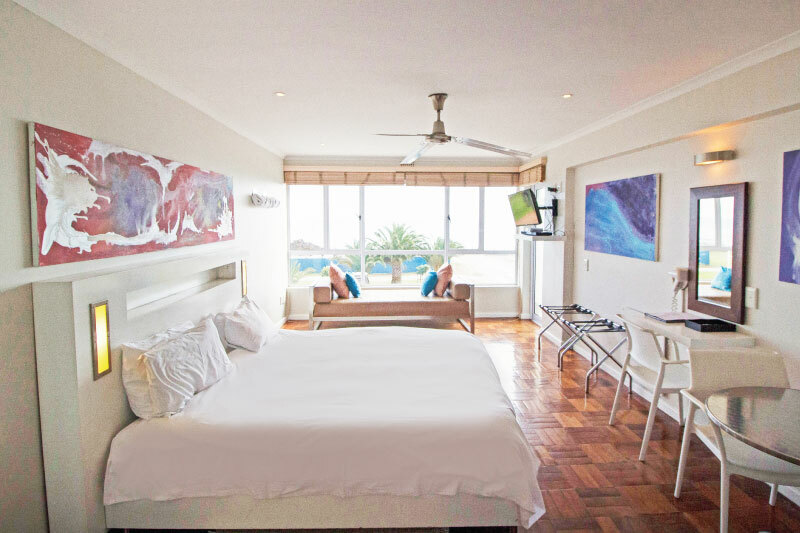 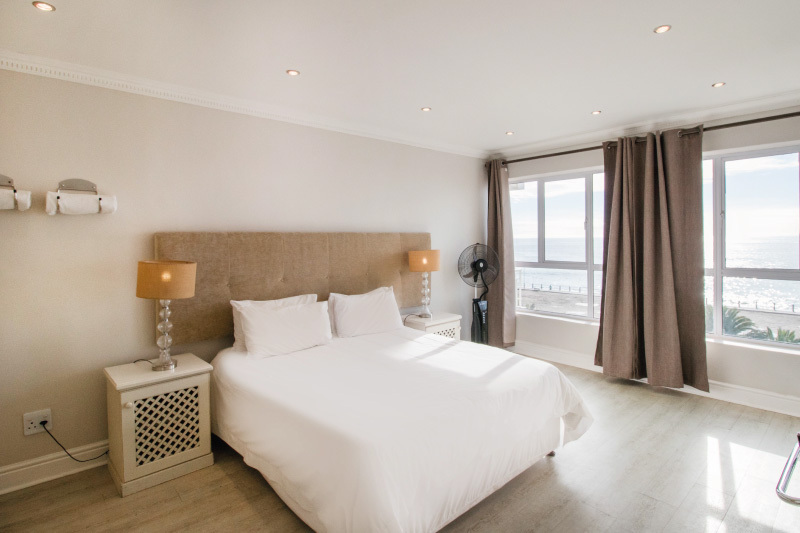 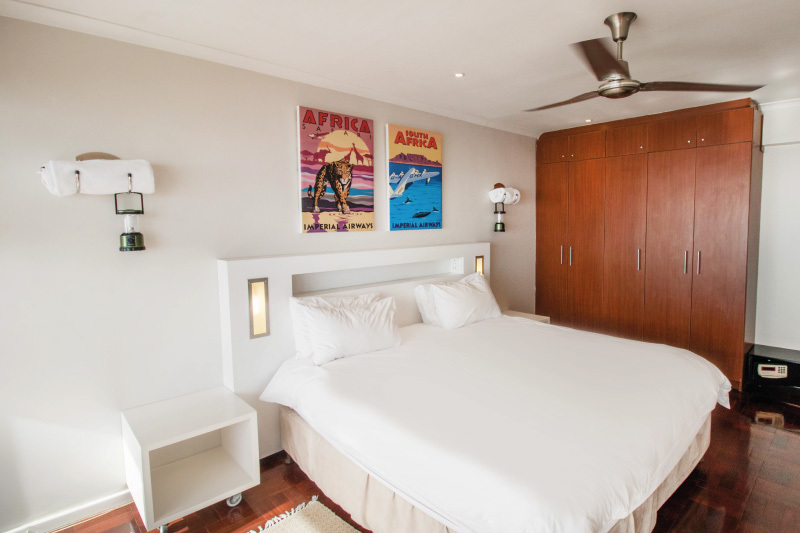 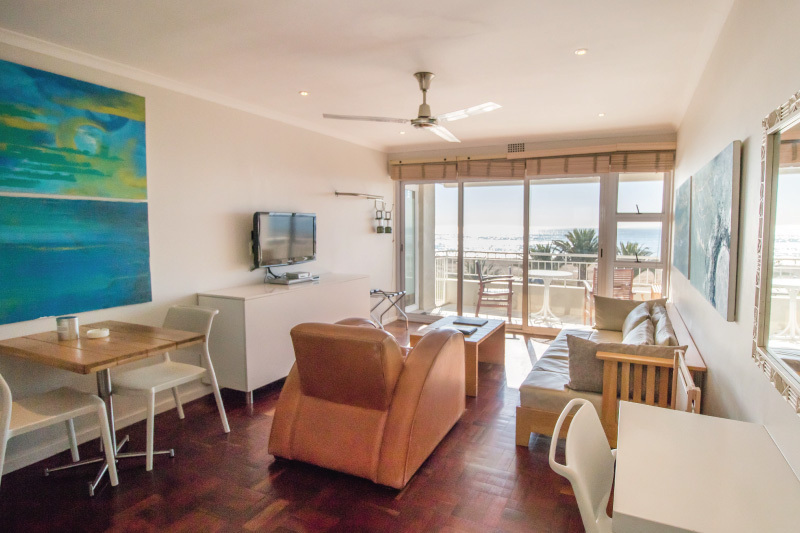 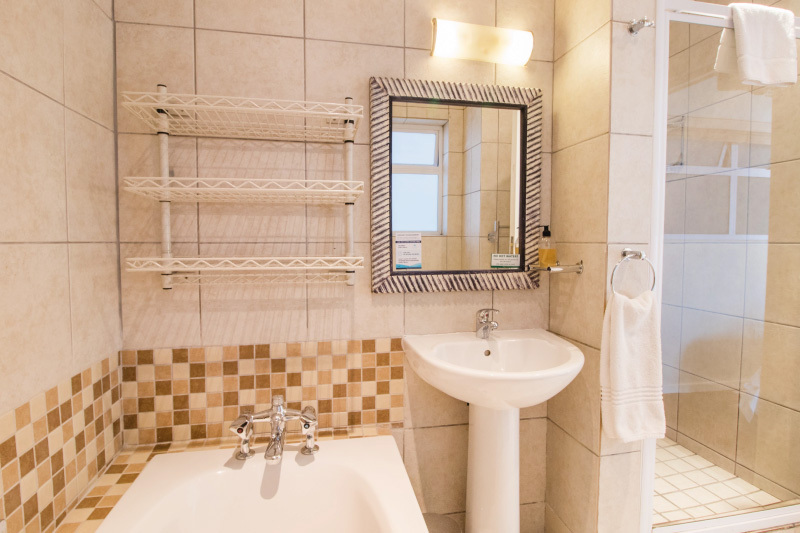 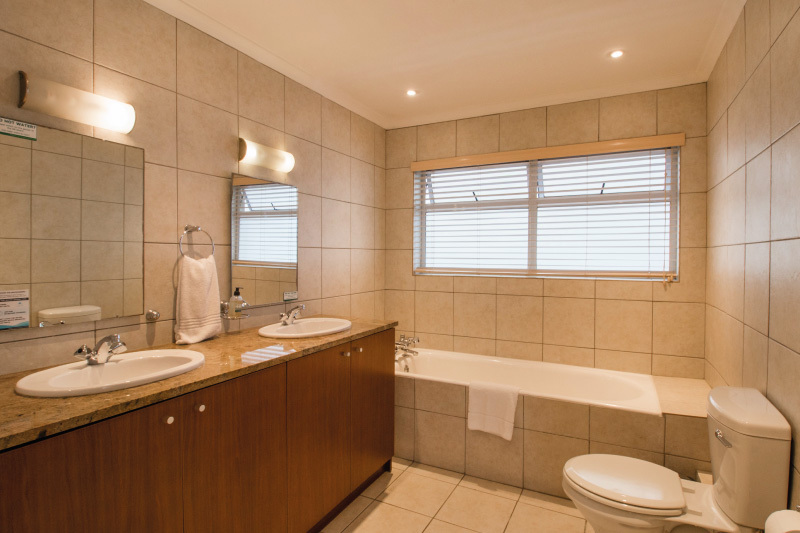 Apartments have balconies with beautiful views of the ocean or Signal Hill and Lion’s Head and offer en-suite bathrooms with both a bath and shower. 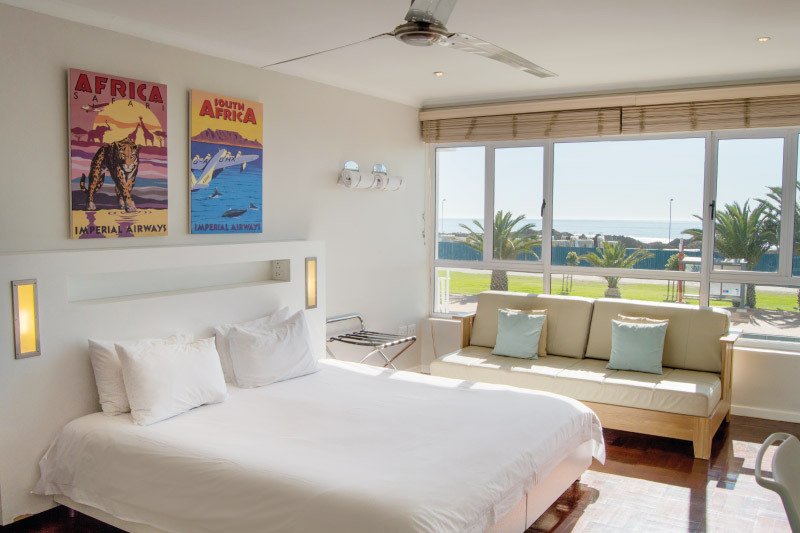 Bedrooms can be converted into either a Twin or King size bed arrangement. 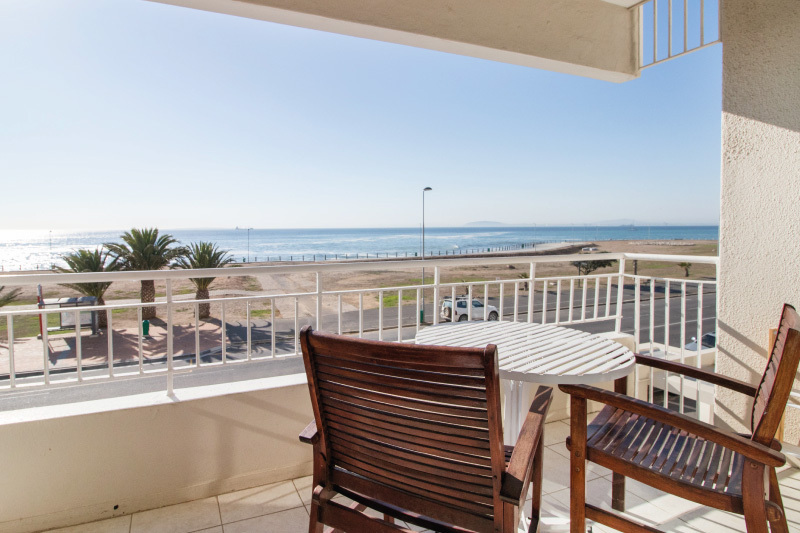 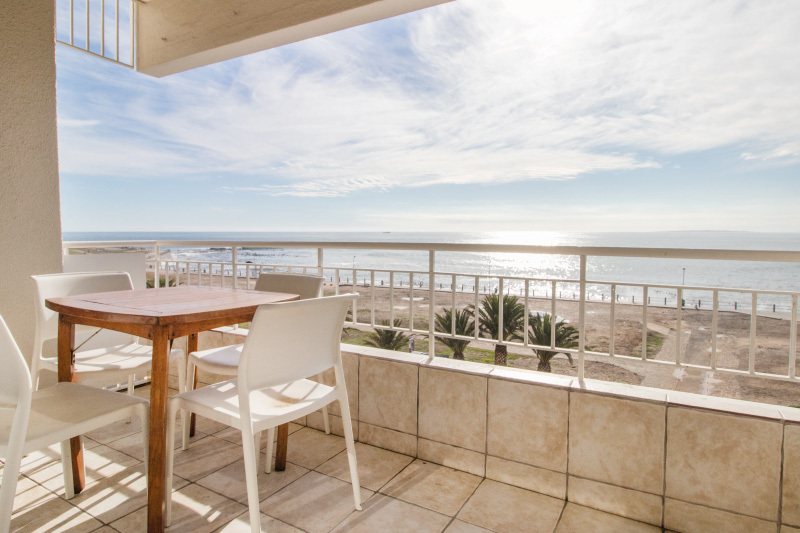 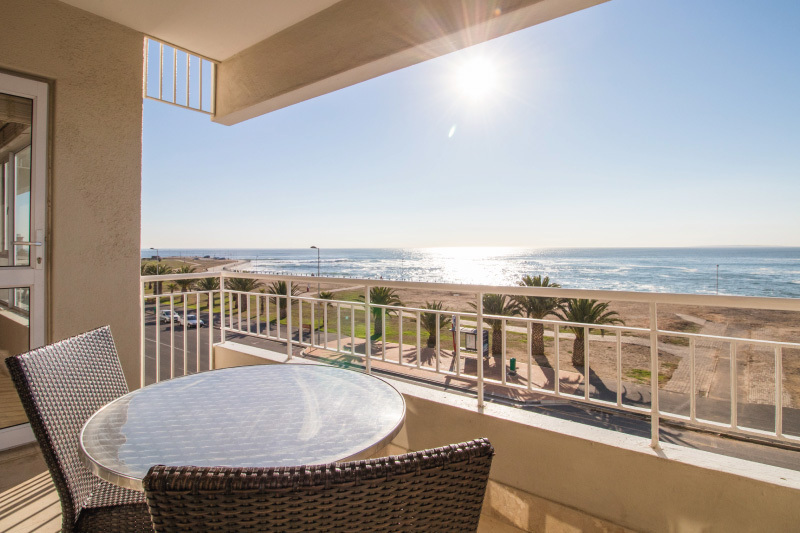 Features a balcony overlooking the ocean, as well as a fully equipped kitchen and en-suite bathroom that boasts double vanities as well as a bath and shower. 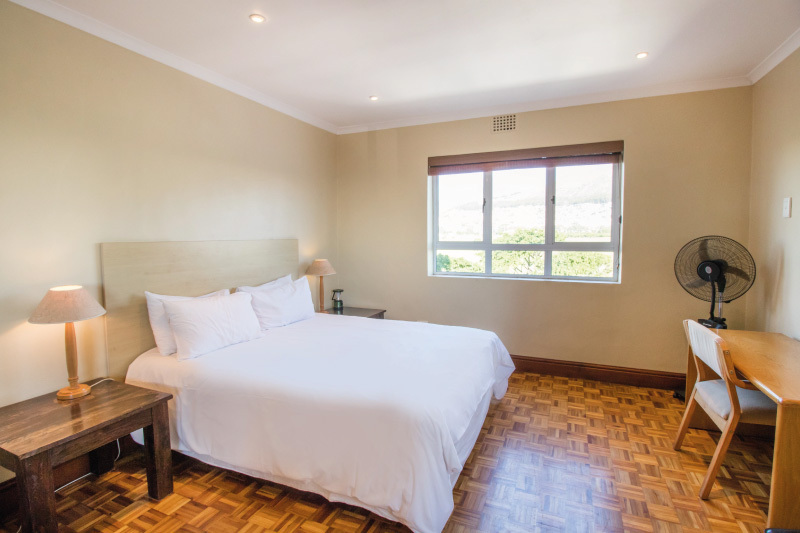 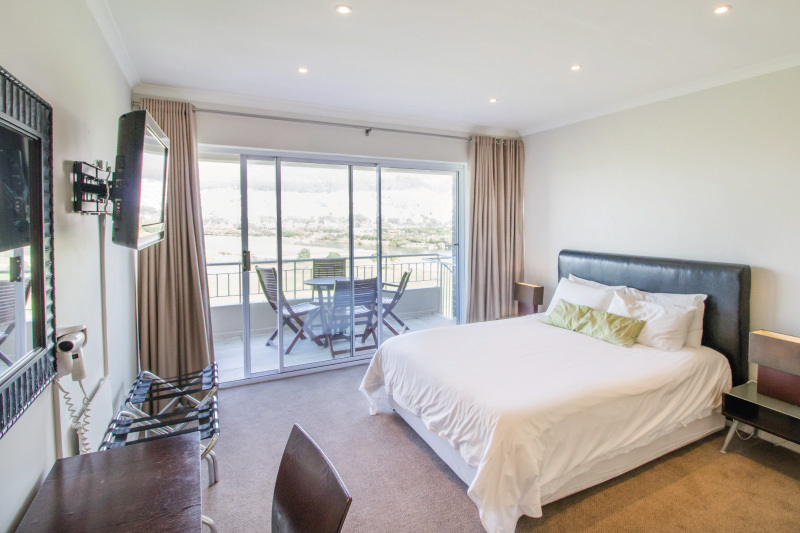 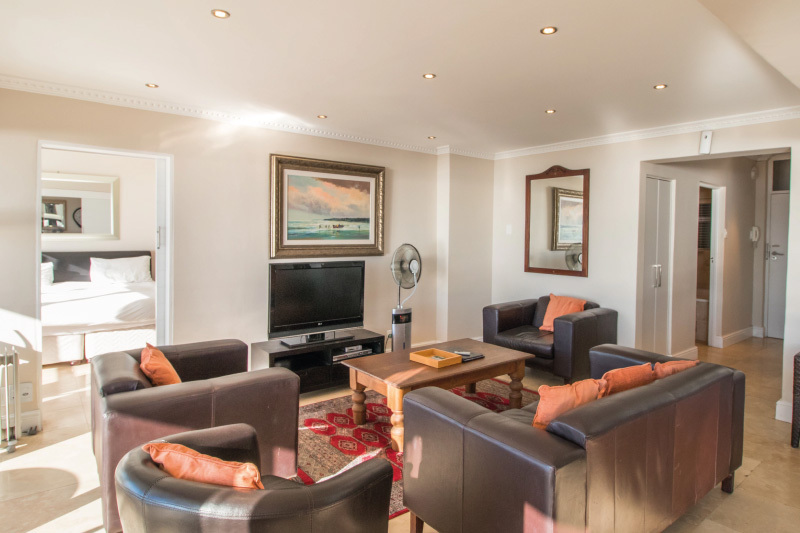 Our mountain facing standard two bedroom apartments feature beautiful views of Signal Hill and Lion’s Head. 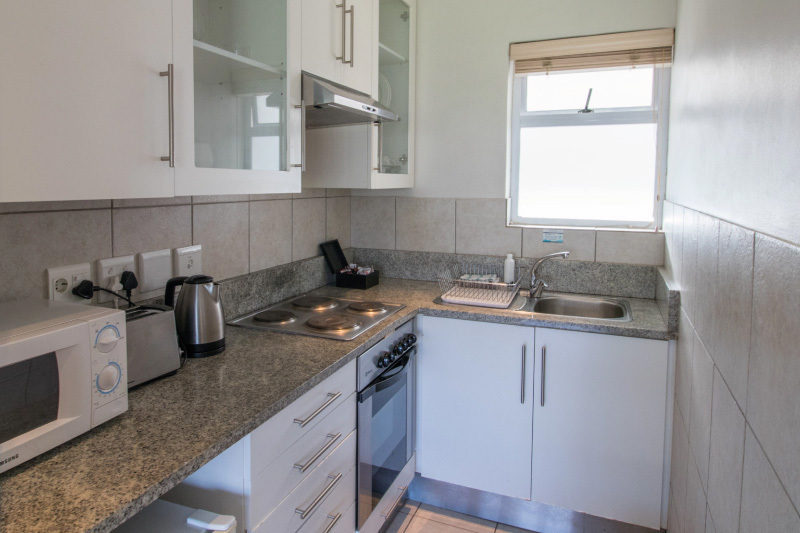 Featuring fully equipped kitchens including a washing machine and tumble dryer. 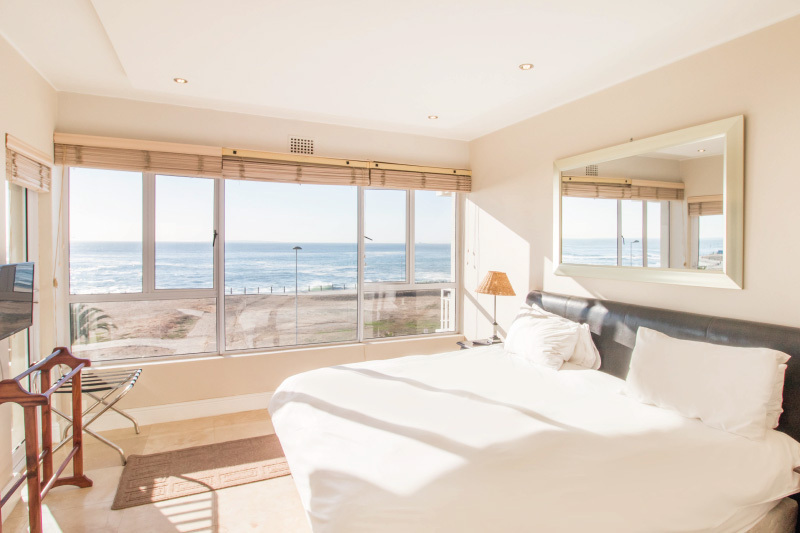 Spacious interiors and sweeping views of the ocean or the mountain. 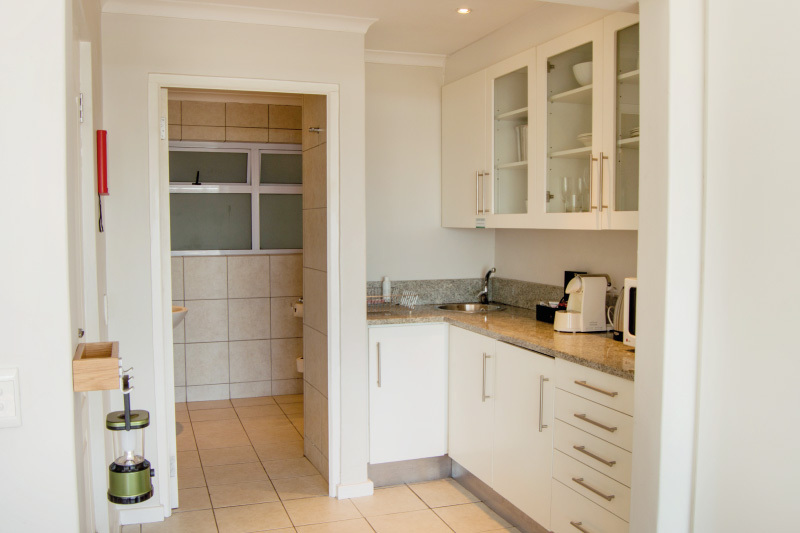 Featuring fully equipped kitchens including a washing machine and tumble dryer and two bathrooms. 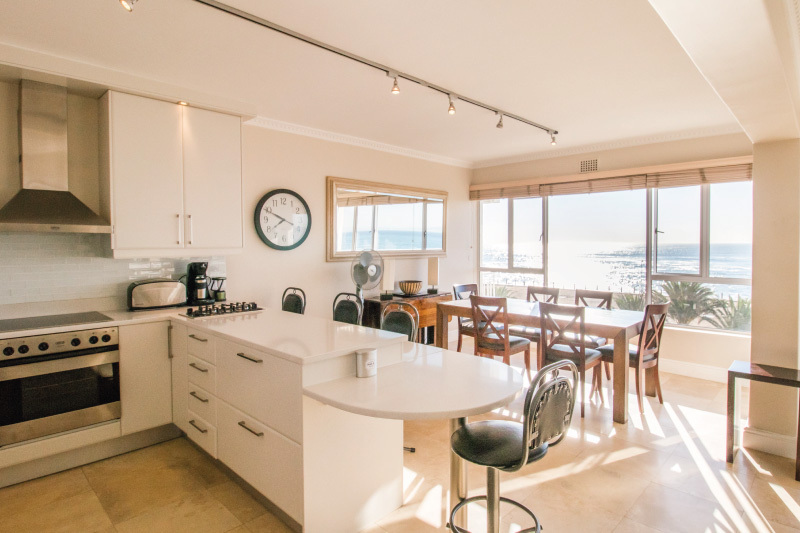 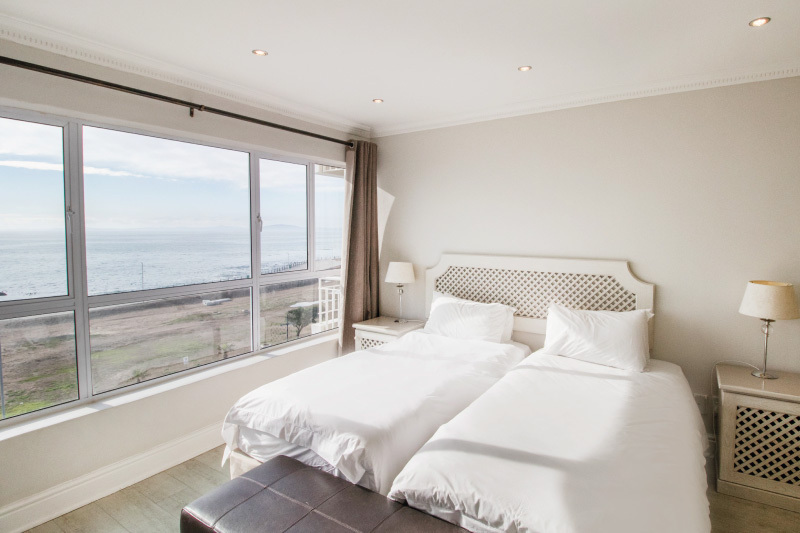 Situated on teh fourth floor with beautiful ocean views, our only three bedroom apartments have a fully equipped kitchen with washing machine and tumble dryer, dining and lounge area with the main and second bedroom consisting of a private balcony.